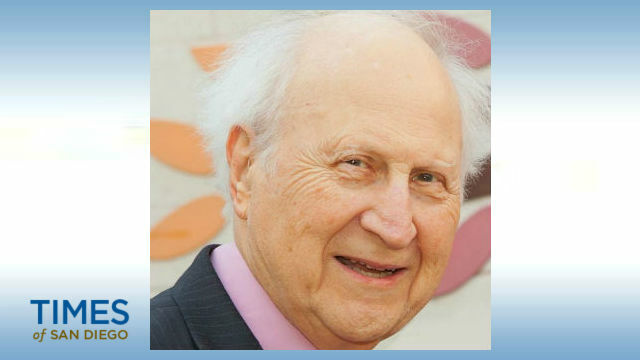 Sheldon Merel, cantor emeritus of Southern California’s oldest synagogue, will reflect on his life as a Jewish musical leader in a special talk at Congregation Beth Israel on Thursday. Merel, 93, who was cantor at Beth Israel from 1979 to 1997, continued to sing at religious services for years after his retirement, and performed with the Philharmonia Orchestra of London. After serving in the Merchant Marine in World War II, he began his cantorial career at Temple Beth El in South Bend, IN, in 1952. He moved to the South Shore Temple in Chicago in 1956, then Temple Sinai in Oakland, where he also performed with the San Francisco Opera. He joined the Holy Blossom Temple in Toronto in 1969, and then moved to San Diego. The cantor’s speech, entitled “His Life Beyond the Pulpit with Slides, Videos, Sculpting, Music and Anecdotes,” is scheduled for 6:30 p.m. at the synagogue in La Jolla. The program includes dinner and costs $20.